JoBlo Confirms Villains and Locations! This week, JoBlo.com posted an article with some pretty spoilery material, so for those of you avoiding spoilers, you might not want to read any further. This week, Deadline confirmed that John C. Reilly will, in fact, be joining the cast of Marvel’s Guardians of the Galaxy. He’ll be playing the role of Rhomann Dey, the leader of the Nova Corps as suspected. I still say it’s a weird casting choice, considering John C. Reilly doesn’t exactly strike me as the superhero type, but then again, neither did Rainn Wilson and he was great in Super. Until the first trailer, at least, I guess I’ll have to just maintain faith in his acting ability. Guardians of the Galaxy #3 On Sale Now! Go pick up or download the new issue of Guardians of the Galaxy! Review on Monday! Just a couple casting rumors today. Benicio Del Toro Could Be Playing The Collector. Another actor added to the cast last week was Karen Gillan, who is rumored to be playing Angela, a character created by Neil Gaiman for Spawn and who has (uncoincidentally) been added to the Marvel Universe this year in the Age of Ultron crossover event, as well as upcoming issues of Guardians of the Galaxy. 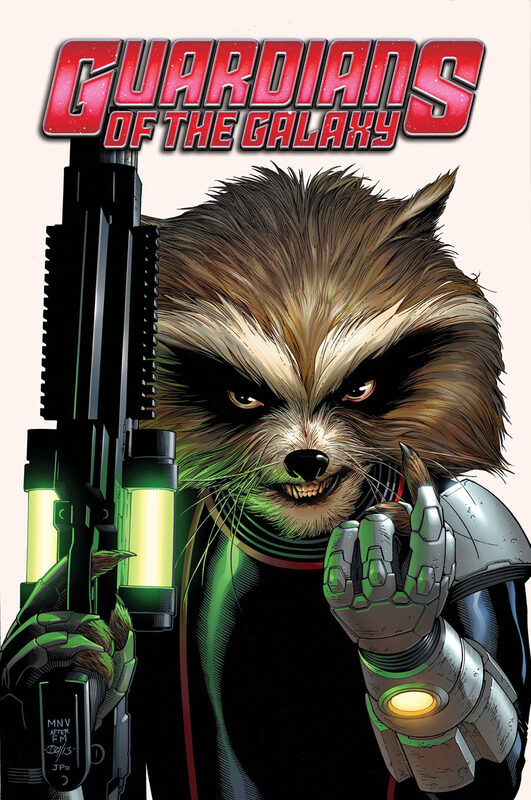 Of course, this is all speculation, but with the character appearing in the Guardians title this year, it seems highly possible that they’d want to reintroduce readers to this character in preparation for the movie. With all of these stars being added to the cast, it makes me wonder if they’re not going to be relying on star power, rather than a great script, to draw in audiences for this flick. Or maybe they’re hoping to use Guardians as a launch pad for a bunch of other movies. Either way, it seems like things are getting way too big. I’m really starting to think they’re going to cram as much as they can into this movie and it’s going to suffer for it as a result. I hope I’m wrong, though. I hope, hope hope. Okay, wow, lotsa casting news this week. Let’s get to it. Karen Gillan, Benicio Del Toro and Lloyd Kaufman will all be in Guardians of the Galaxy! Let’s take this one at a time. It was announced this week that Karen Gillan (Doctor Who!) was added to the cast in an unknown role. All we know is that she’s supposed to be playing a major female villain. Odd casting choice for a villain, considering how adorable and bubbly she is, but as a Doctor Who fan, I’m glad to see Gillan finding work outside of that TV series. She certainly has the geek cred. 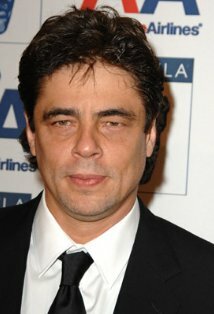 It was also announced this week that Benicio Del Toro was brought on board as well. We know even less about his casting (only that he’ll be playing a “lead role”). I mean, what can I say about Benicio Del Toro that hasn’t already been said? The guy’s fantastic, however I have to admit I find it a little strange to pick him for a big summer sci-fi action flick like this one. But considering Glenn Close was also cast this week, I guess it’s not THAT strange. I’m definitely looking forward to seeing what happens with him. 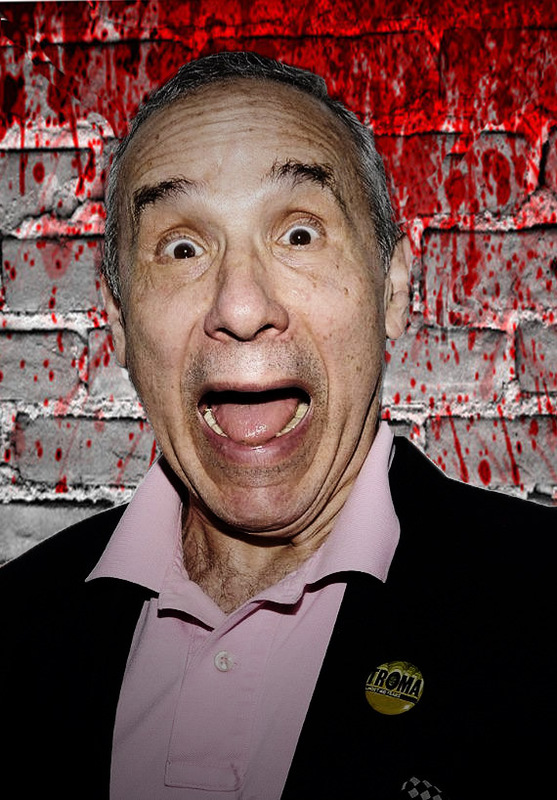 Lastly, Lloyd Kaufman. Certainly not the biggest name on this list, though anyone who’s familiar with Troma or the Toxic Avenger knows who Lloyd Kaufman is. Since he’s a friend of the director, I’m not entirely surprised that he was added to the cast, though I’m not sure how James Gunn got him past the big wigs at Marvel. No word on who he’ll be playing, though my guess would be a silly cameo somewhere in the movie, not unlike Stan Lee’s cameos. Well, that’s it so far. Gillan, Del Toro, and Kaufman are three more names added to an already stacked cast of actors, and I’m sure we’re not done yet. The rest of the cast so far includes Chris Pratt, Zoe Saldana, Dave Bautista, Lee Pace, Michael Rooker, John C. Reilly and Glenn Close. Seriously, how did they get Glenn Close to do this movie? 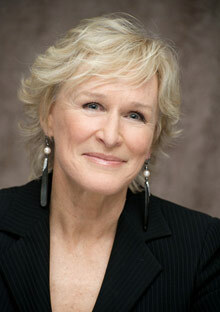 Glenn Close Cast in Guardians of the Galaxy! 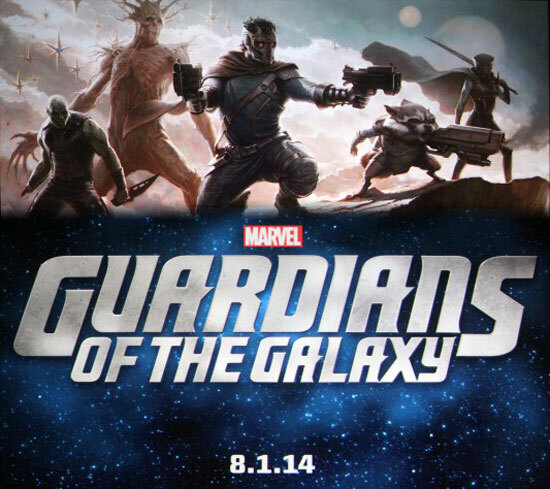 It’s been a busy week for the Guardians of the Galaxy movie. Not only was it announced that John C. Reilly was in talks to play Rhomann Dey, but yesterday, it was announced that Glenn Close will be playing some sort of leadership role in the Nova Corps. I’m not sure what’s going on with this movie, but it looks like they’re cramming a ton of new stuff into this movie, and I, for one, am a little worried about it. Of course, John C. Reilly and Glenn Close are phenomenal actors, but introducing a crapload of stuff, all at once, could spell disaster. The Guardians of the Galaxy are going to be difficult enough to bring to the big screen on their own, without the addition of the Nova Corps. If these rumors are to be believed, I’m guessing it’s Marvel’s way to launch a few more projects (probably a stand-alone Nova movie), but if it were up to me, I’d focus on one set of characters before bringing in another. The movie is set to start shooting in a few weeks, so hopefully, some of this stuff will get cleared up. But in the meantime, I’ll be scratching my head wondering just what the hell Marvel is doing. According to HitFix, Rhomann Dey will be sort of the Agent Coulson for the Guardians, facilitating relations between them and the people of Earth. Now, here’s my issue with this: Rhomann Dey is not from Earth (He’s Xandaran), nor is he an agent of S.H.I.E.L.D. (He’s the leader of the Nova Corps! ), so I’m not exactly sure how this could work. 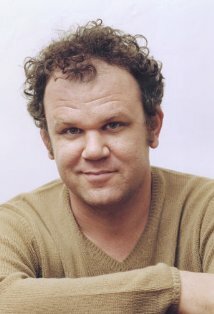 I love John C. Reilly, and I’m sure whatever they give him to work with, he’ll knock it out of the park. He’s always been a strong actor whether in a dramatic role or a comedic one. He’s not my concern. My concern is that the integrity of the character is in jeopardy. Which brings me to my next point. The article also describes Yondu (unofficially being played by Michael Rooker) as a “space pirate” as well as the movie’s villain. Now, anyone who knows Guardians of the Galaxy should know that Yondu is neither of these things. He’s an archer and a founding member of the Guardians. They also suggest that Lee Pace as another, unknown villain, who will switch sides, and begin preparation for a spin-off movie (possibly Nova, Adam Warlock, or Mar-vell). Something is definitely rotten in Denmark. None of this information makes any sense. Of course, it could all be an elaborate red herring set up by Marvel to throw everyone off. Or the author of the article is a dumbass. Either sound more plausible to me, quite frankly. I’d hate to believe Marvel would have this little respect for its characters. After all, this isn’t a DC movie.